The United States is among the fattest countries in the world, with more than 38 percent of the population over the age of 15 suffering from obesity. This statistic may play a part in why so many people are looking for ways to shed pounds. Some people need to lose weight for health reasons, and others want to get rid of those inches from their waistline so they look better. But often, people are motivated to shed pounds because of both their health and their physical appearance. Whatever the reason, weight loss is seldom easy. Losing weight (and maintaining it) requires a complete lifestyle change — a commitment to healthy eating, healthy exercise habits, and healthy living in general. Fortunately, the tech world we live in today offers a variety of smart gadgets that can make the journey just a little bit easier. We searched for weight loss tech for your home. We’re not talking about gadgets like air fryers, blenders, and elliptical machines — most people know to try those. We looked for new or unique products you could use at home. Check out our collection of weight loss gadgets for your home. Do you ever wonder just how unhealthy ice cream is? Or, perhaps you wonder how many calories are in a banana? Consumer Physics created a product that can answer those questions for you. Imagine you could pull a scanner out of your pocket that would scan items and tell you exactly what they’re made of. Scio is a pocket molecular sensor that scans foods and tells you their calorie contents, along with an array of other information. You can buy one for around $300. If you eat the right portion sizes, it can help you monitor and regulate your calorie intake and stay within the United States Department of Agriculture’s recommended guidelines. For instance, the guidelines say that a moderately active female between the ages of 26 and 50 should eat 2,000 calories per day, and a moderately active male between the ages of 26 and 45 should eat 2,600 calories per day. If you’re eating one and a half times the serving size, but only counting the calories for one serving, this can cause you to gain weight without even realizing what you’re doing wrong. This food portion plate can help prevent accidental (or purposeful) overeating. If you really want to commit to eating the right portion sizes, opt for a food scale. Weighing your food isn’t just for personal trainers and fitness junkies. If you weigh and pre-portion your meals, it can promote the mindset that food is fuel. It can also save you time throughout the work week. The only thing better than fresh herbs and veggies is fresh herbs and veggies that you grow yourself. Using specially designed smart soil, built-in sensors, and LED lamps, an indoor herb garden lets you grow herbs, cherry tomatoes, and even strawberries on your kitchen counter or in your living room. You can buy this Click and Grow indoor herb garden for around $100 on Amazon. These days, you can get a bathroom scale that can tell you much more than just how many pounds you weigh. Smart scales, like ShapeScale, can scan your body and tell you useful information like where you gained weight, where you lost weight, where you built muscle, where you burned fat, and what you look like now versus what you looked like three months ago. You can use this information to target your workouts toward your problem areas, or to see what you are doing right. Want to sweat out some of those extra pounds? A sauna in your living room could do the trick. You can buy a lightweight and portable sauna for around $100 on Amazon. Forza is coming out with a smart fitness bar that can track your heart rate, track how many calories you’ve burned, and count your reps. It assembles in about 30 seconds with no screws. You can also compete with your friends in a workout challenge through the app. The bar runs on two AA batteries. 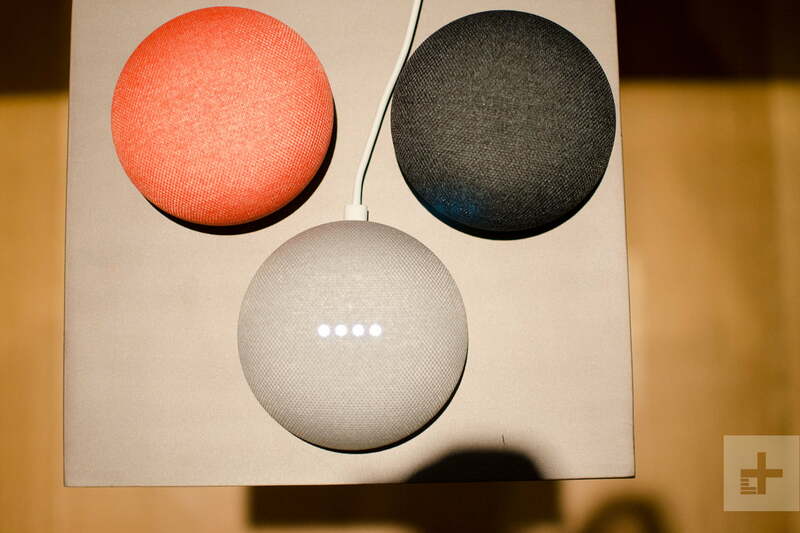 If you have Google Home or a device with Google Assistant, it can help you lose weight. Just say, “OK Google, I want to talk to Fitstar,” and it’ll take you through a seven-minute workout. Google Assistant is available on Google Home, Android 6.0+ phones, and iOS 9.0+ phones. Activity trackers you wear on your wrist are great. But, if you’re looking for something a bit more discrete, an activity tracker ring may be the answer. Motiv is a small (2.5 mm x 8 mm) ring that tracks your active minutes, active and resting heart rate, calories burned, distance, activity type, sleep duration, and steps. It’s waterproof, its battery lasts for around three days, and it charges in about 90 minutes using a keychain charger or a computer. Motiv will cost you around $200. High heels are one of the most uncomfortable inventions of all time. When your shoes cause you extreme pain, you probably won’t be too eager to walk long distances. But what if your heels were just as comfy as your sneakers? You may be a bit more willing to take the stairs instead of the elevator, or to walk to lunch instead of driving. A product on Indiegogo by Antonia Saint NY may provide some relief to your high heel woes. Antonia Saint Dunbar also co-founded Thinkx (the company that made the period-proof underwear). Dunbar and her team designed these high-tech heels to feel like sneakers by carefully placing cushioning at multiple points, widening certain parts of the shoe, carefully selecting materials, and providing more accurate sizing options. Although these heels are still in the prototype stage, they raised more than $3 million on Indiegogo (more than 3,000 percent of the funding goal). You can pre-order a custom fit pair for $236, with an estimated delivery date of December. Keep in mind, however, that even though these shoes appear to be amazing, there is always some risk associated with buying a crowdfunded product. It’s not the same as buying something from an online store like Amazon.